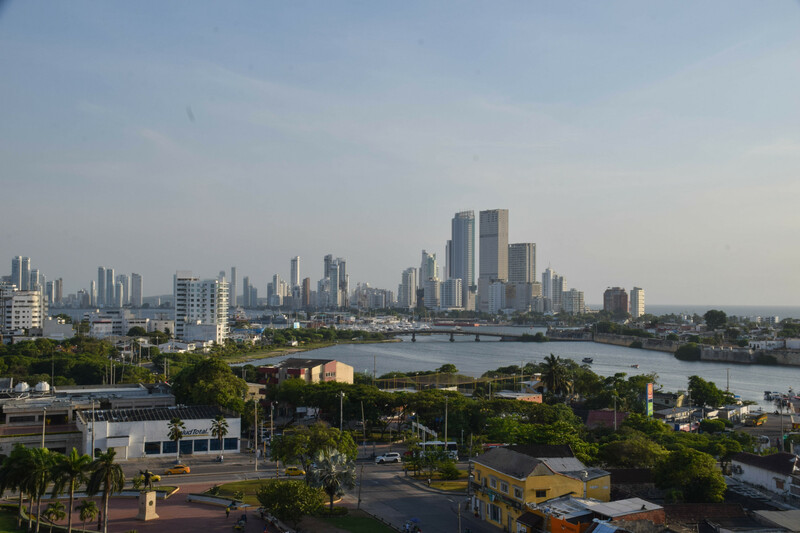 Serving as the entrance to South America, Cartagena, Colombia is known for its rich history and beautiful waterways. 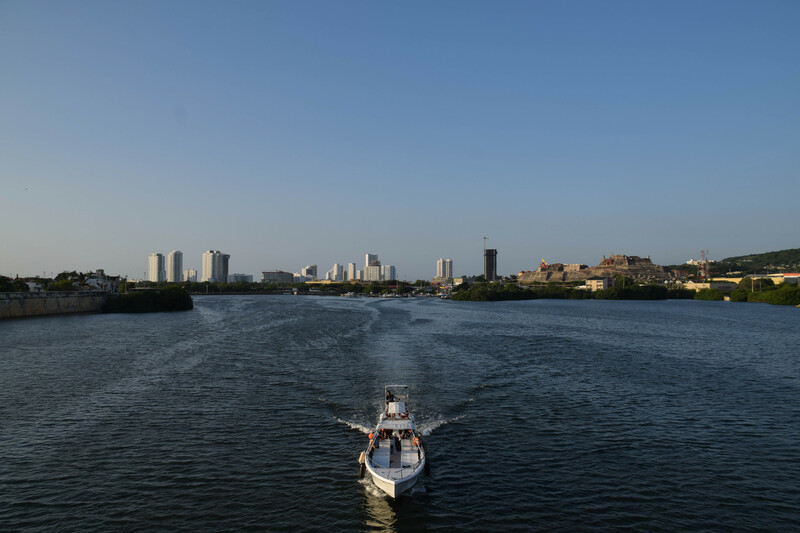 Cutting the coastal region into four parts, the Laguna de San Lazaro, separates the coast into the residential area of Manga, the Old City, Boca Grande, and the remainder of mainland Cartagena. This lagoon is used by the general public for transport from the city to fishing spots and other portions of the city. 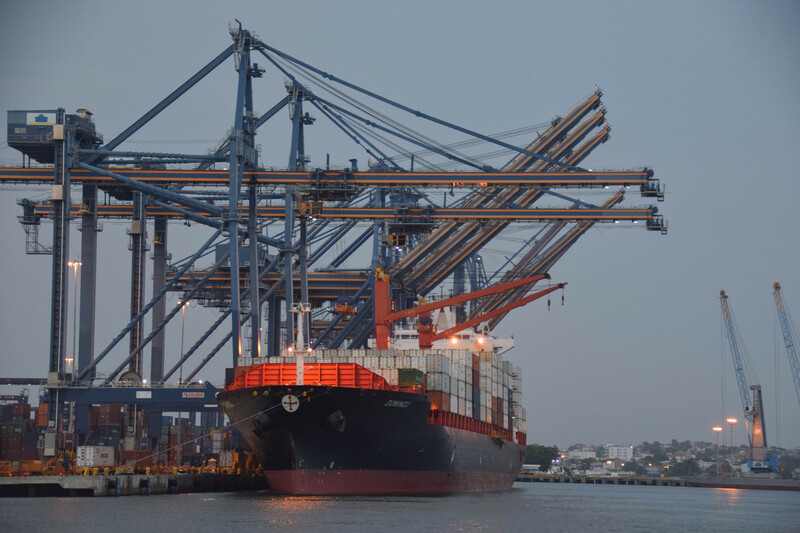 With trade being such a large aspect in the modern economy, the lagoon also serves as the home for Cartagena’s large shipping industry. As a tribute to its naval history and even its current success in maritime business, Cartagena features a museum detailing the past trials and tribulations of the countries formation and defense, as well as the current systems they have in place to fluidize the loading and unloading of these large Cargo ships. With such a deep history and gorgeous scenery, it is no wonder that Cartagena is also a popular tourist destination. The city attracts relaxation seeking foreigners to its many beautiful beaches and luxury high rises in the coastal, recreational region named Boca Grande. Here the beaches are full of vendors, aquatic adventure, plenty of some, and a fair amount of trash. All around the coast, trash and pollution can be seen in varying quantities affecting the wildlife in the area, as well as the means of income of many fishers in the area. 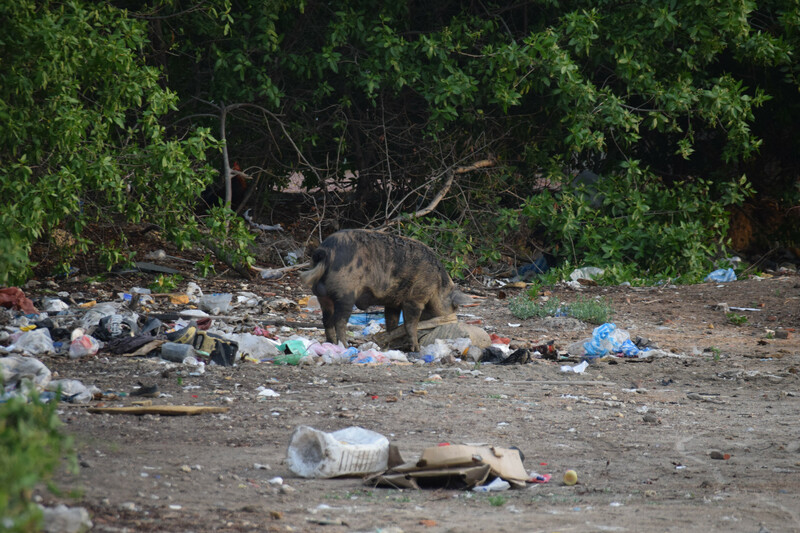 Here a pig is seen rummaging through a trash pile near one of the beaches around the lagoon. The local artists in Cartagena have begun to take notice as well. Pictured here is an art piece featuring fish struggling to free themselves from a net of plastic rings used to contain beverage bottles. This can lead to decreased fish populations in the area affecting how many locals gain their income. 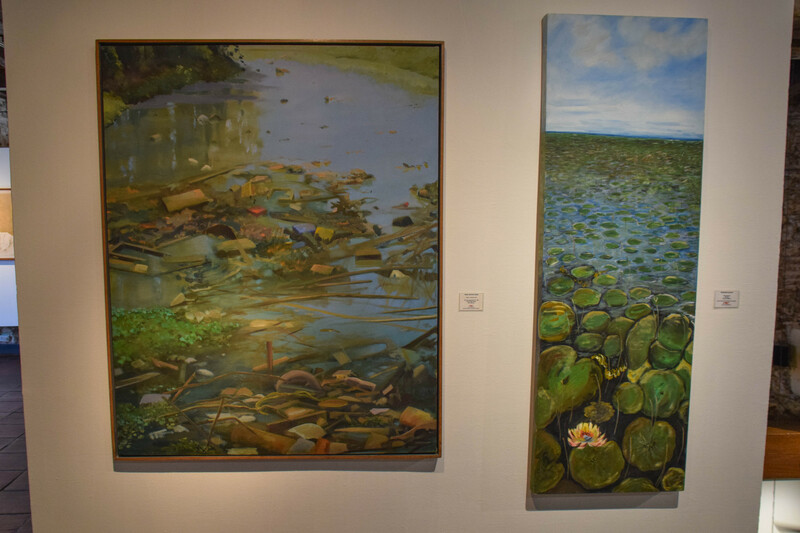 The second piece depicts the effect of pollution and waste in the wetland areas of Cartagena. The wetlands are an important breeding ground allowing the further propagation of any species. Destroying this habitat with garbage will surely lead to an ecosystem imbalance in the area. A group of environmentalists, stationed in Tierra Bomba, Cartagena have also taken notice. 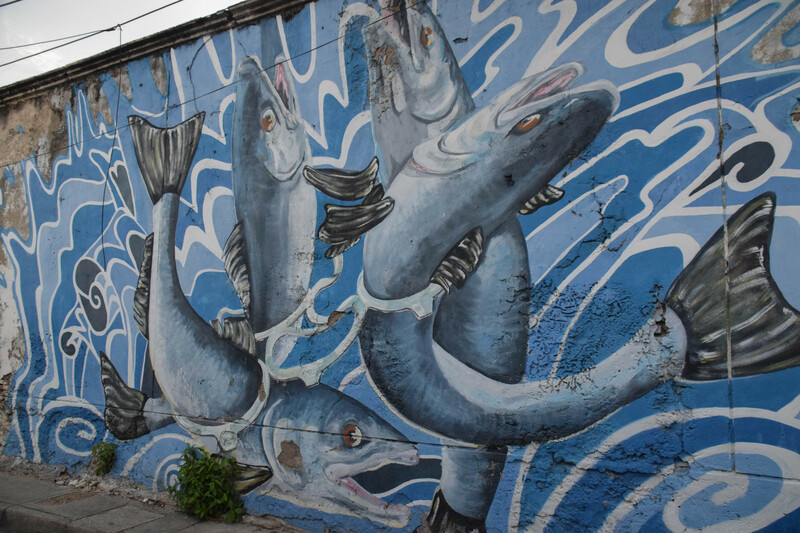 Amigos del Mar is a group started by Pedro Salazar, whose purpose is to educate others in the area, especially the youth, about the importance of taking care of the sea and recycling any trash they do find. 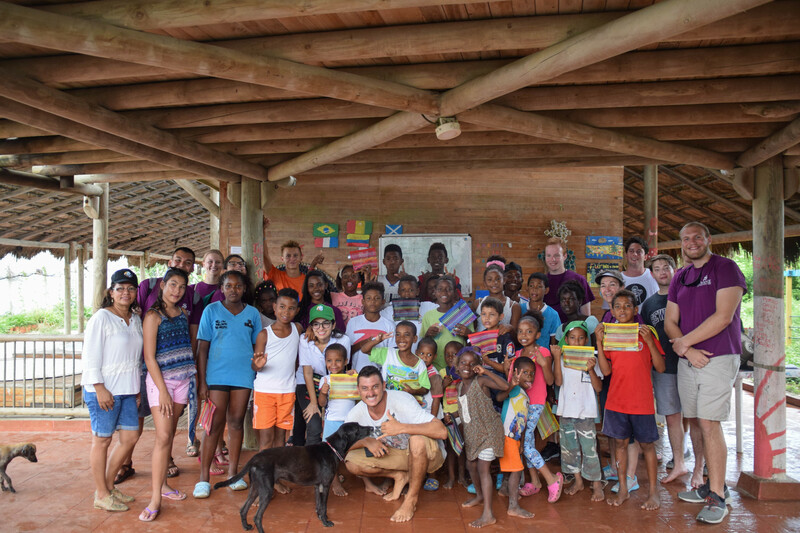 Seen here is a photo of the founder and many of the youth who are learning about the importance of the sea as well as other necessary education. Tierra Bomba is an island just off the coast of mainland Cartagena. The only way to reach the island is to travel by boat and the island is so secluded from the rest of Cartagena, that they do not have any running water. This lack of transportation and general contact with the mainland makes their focus on protecting the environment even direr. 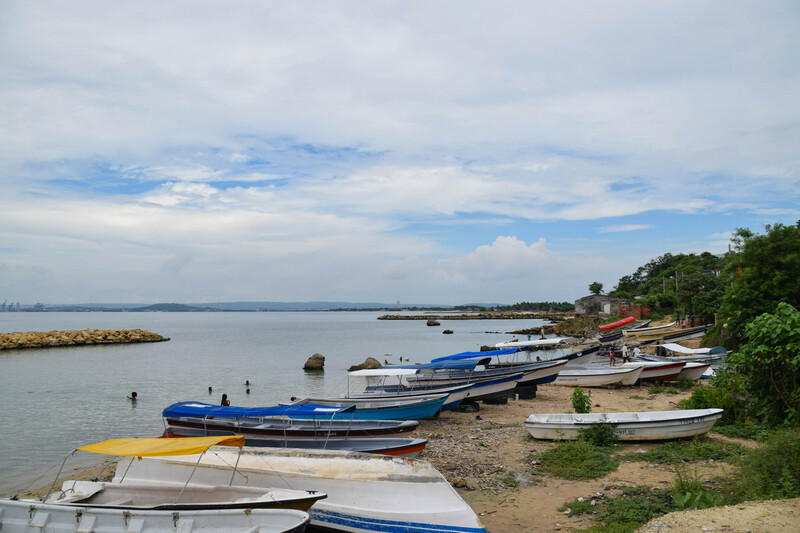 Seen here is a line of boats used to travel to and from mainland Cartagena every day. 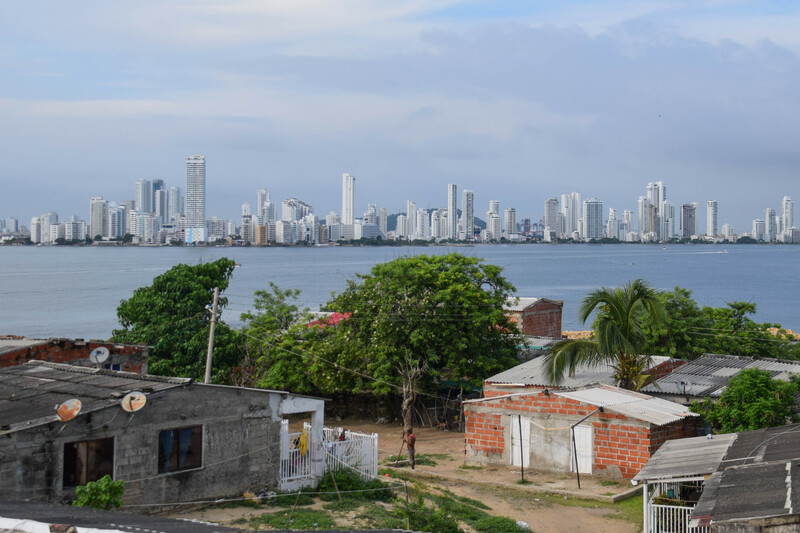 The difference in life from the sea-sufficient Tierra Bomba, and the high-rises of Boca Grande are evident in this photo with a farmer in the foreground tending to his garden and the high-rises and clear beaches in the distance. The locals of mainland Cartagena also seem to be putting these ideas of recycling to use as shown by the fisherman in this photo. Here a fisherman is seen using a piece of fishing wire with bait attached to different ends of the fishing line casting into the sea. This also shows the utter importance that the sea plays to the people of Cartagena, that from the top industry down to the average working man, everyone is fishing. 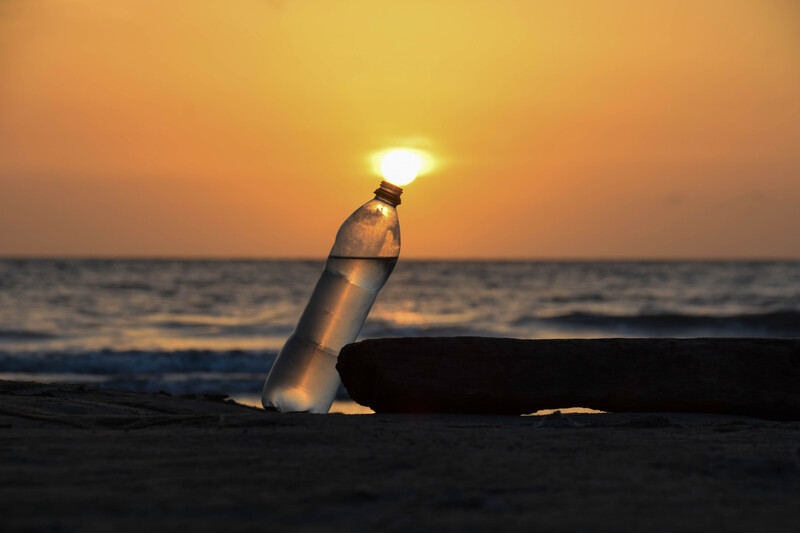 I also joined in with a little recyclable exercise of my own using a water bottle I found on the beach to create an image of the sun escaping from the mouth of the bottle. 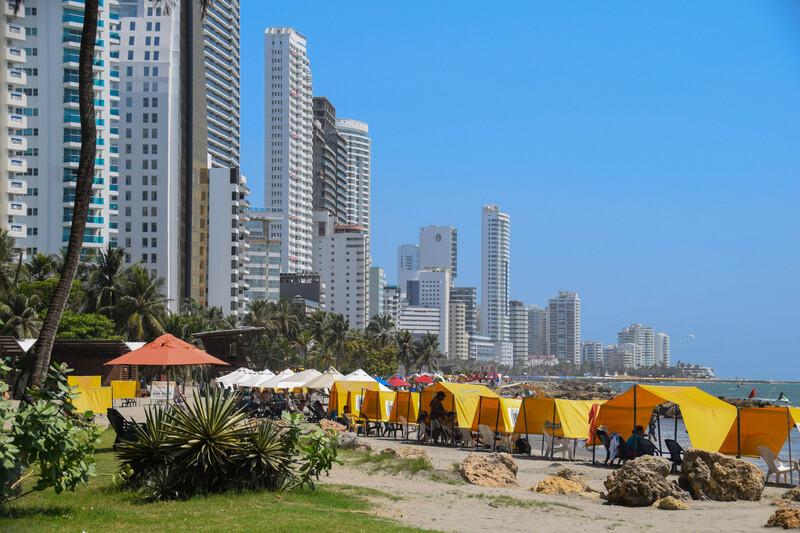 Amigos del Mar has shown that recycling is both fun and incredibly necessary to protect the beaches and way of life for the people of Cartagena, even amongst an explosion of tourism in the area. Oceanic pollution is a topic near and dear to the heart of many Americans. Thanks to organizations present in the US, more people than ever understand the effect their trash output has on the environment. Surely there are still plenty of lessons to be learned about preventing pollution and helping marine ecosystems, especially from areas that rely on the ocean to survive. Cartagena, Colombia is a city run by water. 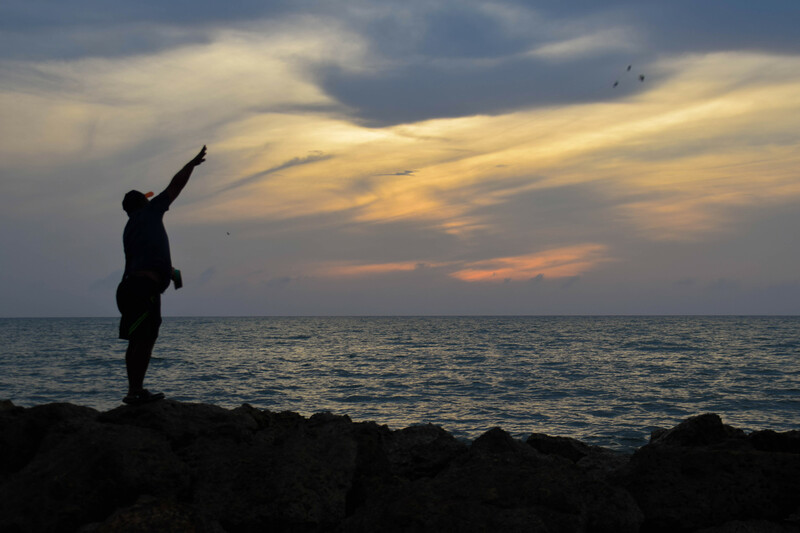 From fishing to trade to tourism, the waters surrounding Cartagena have provided a way of life dependent on the ecosystems under the surface. Due to the recent influx of tourism and industry, pollution and trash management has become a developing problem in the area. 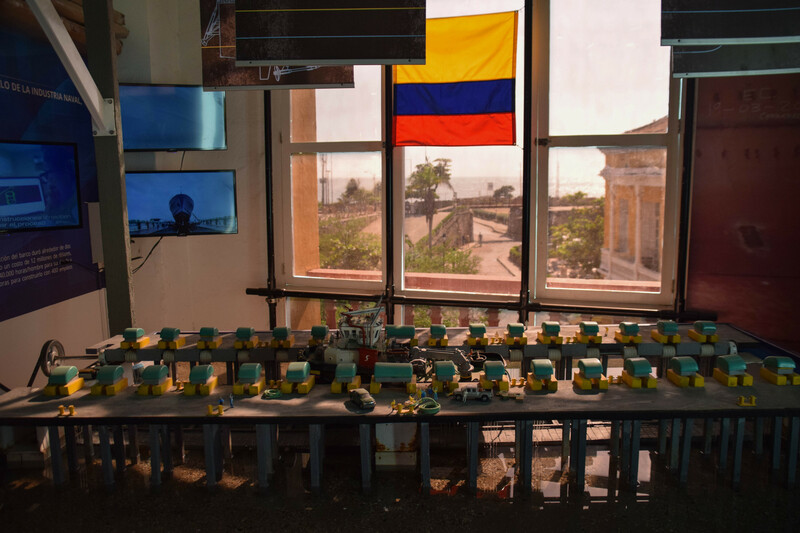 Tierra Bomba, an island off the coast of Cartagena, uses the ocean more than a way to produce an income but to survive. With difficulty in transportation and delivery of resources, much of their means to survive come from the ocean. One foundation on the island, Amigos Del Mar, have set out to preserve their seas from the increasing threat of pollution. To accomplish this, they have set out to educate their community on the problem, as well as volunteering to clean their immediate surrounding by recycling the trash they find. The foundation works to teach the youth of the island recycling skills and environmental consciousness so that they can protect their ecosystem for years to come.